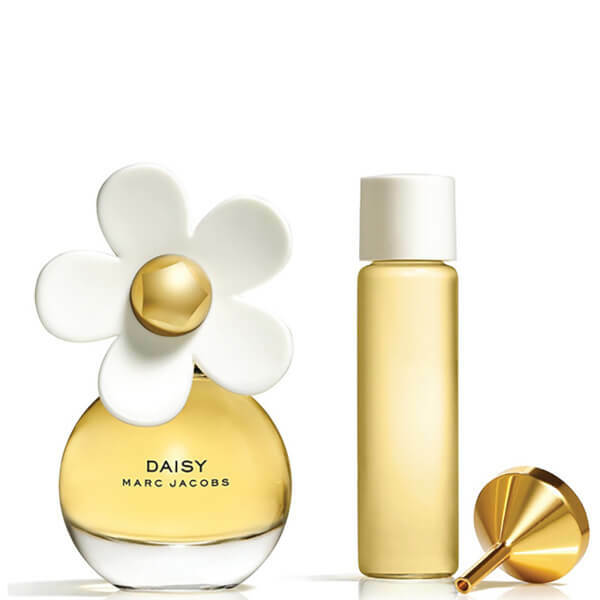 Marc Jacobs present the Daisy Purse Spray. Fresh and feminine, notes of wild strawberry, violet petals and sparkling grapefruit set the tone, accompanied by luxurious jasmine and gardenia in the heart. Presented in a convenient bottle that fits perfectly in your handbag, the fragrance closes with white birch, cedarwood and a hint of musk. E.N. Top Notes: Strawberry, Violet, Grapefruit. Base Notes: Birch, Cedarwood, Musk.